Good news for fans of Father Brown – a sixth season is currently in development, although no word yet as to when it will be finished or released. As soon as we hear we’ll be sure to let you know. Sadly it looks like two of our favorite characters in the show are still MIA. Both Nancy Carroll, who played Lady Felicia, and Alex Price, who played her witty chauffeur Sid Carter, seem to have been lured away from life in the Cotswolds, where Father Brown is filmed, to London’s West End. 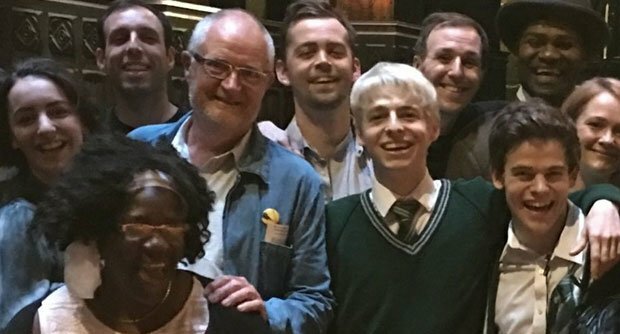 Several actors who starred in the Harry Potter films have been to see Price in Cursed Child, including Tom Felton, who played the younger Draco Malfoy. 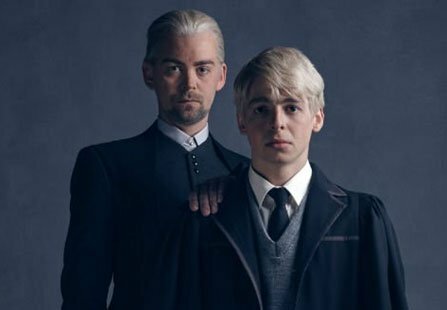 As well as sharing a character – albeit at different stages in the character’s live - Felton and Price share a mutual co-worker. Felton’s first ever film role was as one of the children in the film The Borrowers, which starred Mark Williams, who plays Father Brown. Williams and Felton were reunited when making the Harry Potter films, in which Williams played Arthur Weasley. 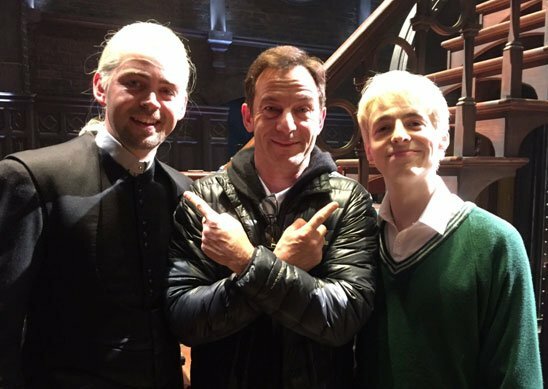 Although Williams had enjoyed a long career acting on stage and screen before playing the red-headed Mr. Weasley, it was the Harry Potter film series that gave the actor the security of knowing that he could accept jobs for reasons other than fame or money. One of the roles he decided to accept was Father Brown. As he explained last year in an interview for an Australian media outlet, "After Harry Potter, I didn't need the money, but the idea of having my own series was very seductive. Also, G.K. Chesterton's Father Brown stories are so fascinating. Most whodunnits are intensely rational, but Father Brown is more about spirituality and intuition. He's endlessly fascinated by human nature and incredibly nosey, and there's absolutely nothing that's not worthy of attention." Another actor who worked with Williams in the Harry Potter films was Robert Hardy, who played Cornelius Fudge. Hardy of course is probably better known to PBS viewers as Siegfried Farnon, the character he played for a dozen years in All Creatures Great and Small. Sadly, Mr. Hardy died August 3rd at the age of 91. We’ll be paying tribute to him next week, but in the meantime, click here for a tribute from the BBC.